Coctio Turnkey Production Line provides you with an automated system to prepare natural and clean label bone broths, sauces, soups and a wide range of other prepared foods with traditional stock made from animal bones. These products have significant competitive markets worldwide. Our technology follows on traditional cooking method combined with Chef's expertise by slow and gentle simmering the bones or fish leftovers with other ingredients for hours with the only difference that the entire production process happens in a closed environment capturing all aromas released by ingredients in creating superior quality products. Coctio lines provide automated, quick, safe and efficient batch production process meeting the demands of the today's conscious consumers who want authentic and clean label products without artificial ingredients and food additives, such as yeast extract and MSG. Our production lines are designed for small and large production volumes and are fully scalable to suit all customers’ requirements for the type of end products and production capacity. Cooking in a closed environment makes it possible to create bone broth and broth-based food applications with exceptional Chef's quality to maintain the natural colour, taste and structure of the product. Chef's quality means natural umami tasting foods, the maximum value and profit margins for your labels as well as greater consumer satisfaction. What's more, the closed system ensures the proper food safety and hygiene standards in your operation to provide the best opportunity for more extended shelf life products. Automation combined with the closed system also means that you have total control over the cooking temperature, pressure and time at all points during the entire production process ensuring greater consistency over the high number of batches. Every batch is produced with precision and carefully controlled to repeatedly cook the desired taste, texture and clarity of product. Watch a short video on our Natural Bone Broth Manufacturing Process. Select and learn more about Coctio Small and Standard Production line solutions to find the right line setup to meet your specific needs. 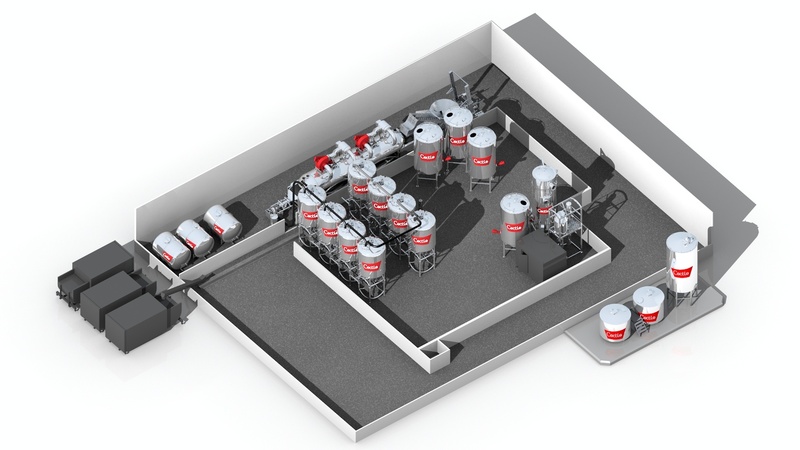 The installation of critical processes only automated for low volume operation with a capacity of 2,200 litres/batch. 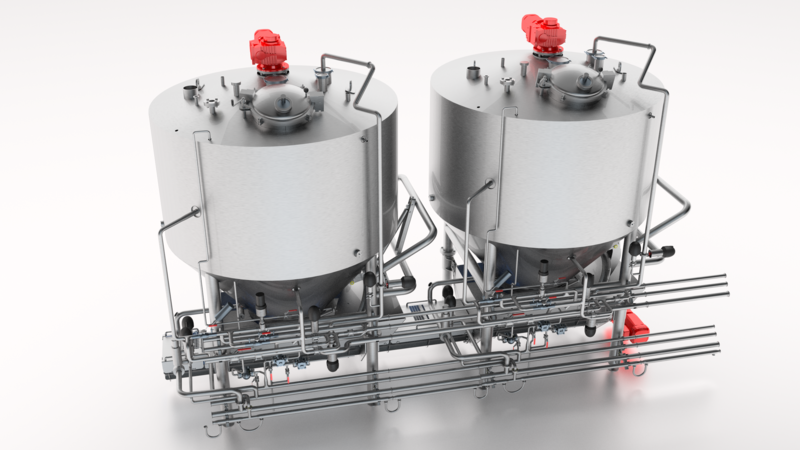 The fully-automated process installation for larger scale operation with a capacity of 4,500 litres/batch.